Secretariat’s shoe from the 1973 Kentucky Derby sold for $80,736 at auction this month. One of the shoes worn by Secretariat in his record-setting win in the 1973 Kentucky Derby has sold for $US80,736 at a sports memorabilia auction. The price was more than double the previous world record of nearly $37,000 for another of Secretariat’s shoes, Lelands auction house president Mike Heffner said. “We anticipated a high level of interest in Secretariat’s Derby shoe. Given the provenance of this particular shoe and historical significance of the 1973 Kentucky Derby, we expected it to do well,” Heffner said. Secretariat pictured after his maiden win at Aqueduct Racecourse on July 15, 1972. In the days that followed Secretariat’s record-setting win in the 1973 Kentucky Derby, trainer Lucien Laurin presented to the Chenery family one of the very shoes that had carried Big Red to victory in his chase for the Triple Crown. It was cataloged with the hand-typed descriptive card certifying its authenticity and acquisition. It is displayed along with the card within a linen-backed wooden accessible shadowbox. The historical pairing has resided in protected storage within the private Meadow Stable collection for the past 45 years. 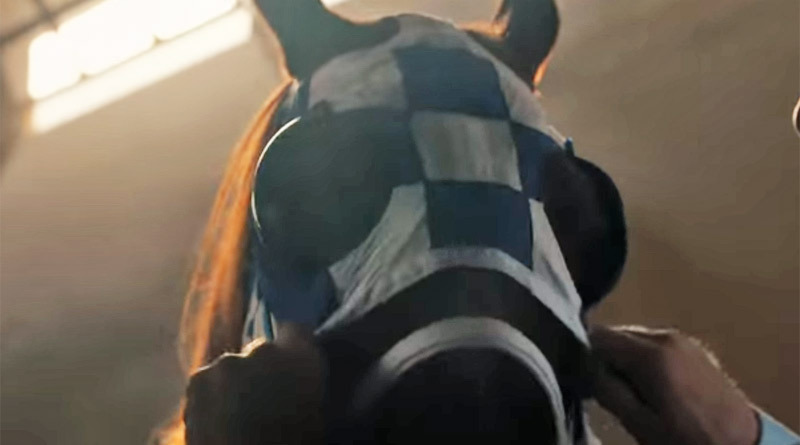 The auction opened for Secretariat’s Derby shoe on July 15 and continued for a month with almost 6400 views and 18 separate bids before closing. The historic shoe exhibits a variety of race-worn scuffs, marks, and track remnants, and most important, the tell-tale rivet holes that secured the distinctive felt pads Secretariat typically wore during his racing performances on dirt. The shoe exhibits the embossed casting marks of “Made in Canada” found in the shoes of the Canadian Racing Plate Co.
Secretariat’s $80,736 Kentucky Derby shoe. A much scarcer shoe than its domestic counterparts, Canadian Racing Shoe Co. sales constituted only about 10 percent of the US market in 1972 and 1973. Secretariat wore Canadian Racing Plate shoes on at least two racing occasions as determined by Laurin, who was a native Canadian.